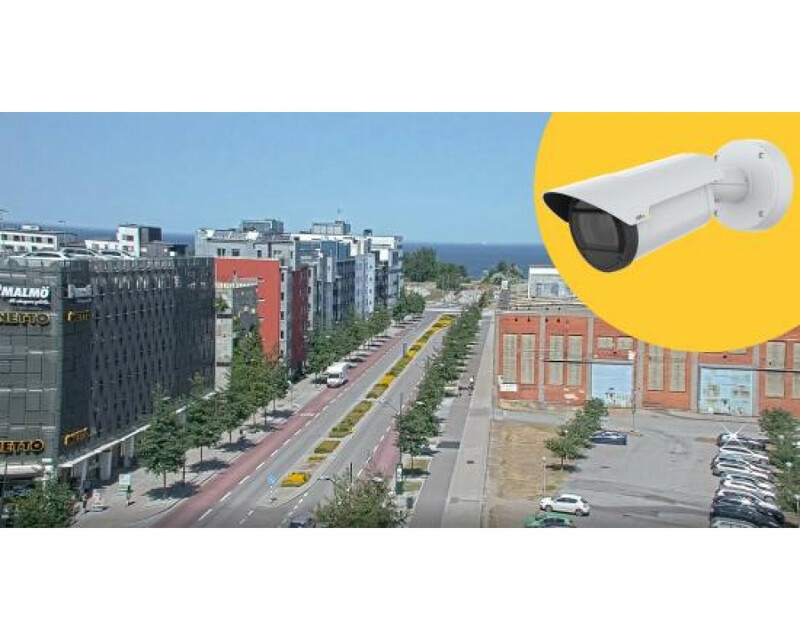 Robust outdoor, 4 MP/Quad HD1440p, day/night fixed bullet camera with 32x optical zoom. Multiple, individually configurable H.264 and Motion JPEG streams; max HDTV 1440p /4MP resolution at 50/60 fps. 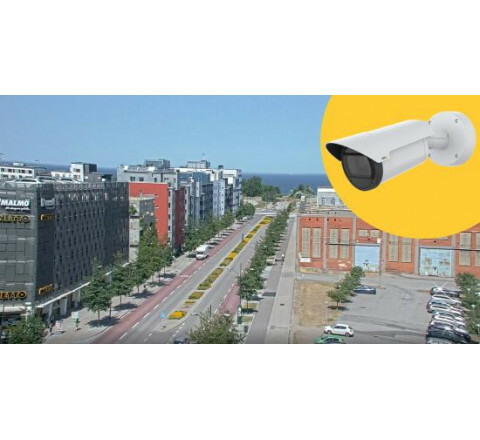 Forensic WDR and Lightfinder for demanding light conditions and Axis Zipstream technology for reduced bandwidth and storage needs. Varifocal 4.3–137 mm, F1.4 with remote zoom and autofocus. Includes analytics AXIS Guard Suite, shock detection and active tampering alarm. Corridor format, Barrel distortion correction, Defog, Electronic image stabilization and Scene profiles Audio mic/line in, I/O for alarm/event handling and memory card slot for optional local video storage. OptimizedIR, a power-efficient IR LED technology. Integrated bracket for easy mounting on wall and ceiling. NEMA 4X, IP66/67 and impact resistant in -40°C to +60°C(-40 °F to 140 °F). Powered by PoE (IEEE 802-3af), 8-28 V DC or 20-24 V AC. Includes a removable sunshield. Power supply or midspan not included.